Bodine, K.A., Shoup, D.E., Olive, J. Ford, Z.L., Krogman, R., and Stubbs, T.J. 2013. Catfish sampling techniques: where we are now and where we should go? Fisheries. 38(12):529-546. Bodine, K.A., and B.P. Fleming. 2013. Evaluation of an alternative technique for attaching external transmitters to blue catfish. North American Journal of Fisheries Management. 33:950-955. Bodine, K.A., Buckmeier, D.L., Schlechte, J.W., and Shoup, D. E. 2011. Effect of electrofishing sampling design on bias of size-related metrics for blue catfish in Reservoirs. Pages 607-620 in P.H. Michaletz and V.H. Travnichek, editors. Conservation, ecology, and management of catfish: the second international symposium. American Fisheries Society Symposium 77, Bethesda, Maryland. Bodine, K.A., and Shoup, D.E. 2010. Capture efficiency of blue catfish electrofishing and the effects of temperature, habitat, and reservoir location on electrofishing-derived length structure indices and relative abundance. North American Journal of Fisheries Management. 30:613-621. Bonvechio, T.F., C.A. Jennings, and D.R. Harrison. 2011. Diet and population metrics of the introduced blue catfish on the Altamaha River, Georgia. Proc. Annu. Conf. Southeast Assoc. Fish and Wildl. Agencies 65:112–118. Bonvechio, T.F., D. Harrison, and B. Deener. 2009. Population changes of sportfish following flathead catfish introduction in the Satilla River, Georgia. Proc. Annu. Conf. Southeast. Assoc. Fish and Wildlife Agencies: 63:133–139. Boxrucker, J. 2007. Annual movement patterns of adult blue catfish in a large reservoir using ultrasonic telemetry. Annual Performance Report – F-50-R-13-23. Oklahoma Department of Wildlife Conservation. Boxrucker, J. 2007. Size at Harvest and Growth of Blue Catfish in Oklahoma Reservoirs. Annual Performance Report – F-50-R-13-24. Oklahoma Department of Wildlife Conservation. Boxrucker, J. and K. Kuklinski. 2006. Abundance, growth, and mortality of selected Oklahoma Blue Catfish Populations: Implications for Management of Trophy Fisheries. Proc. Annu. Conf. Southeast. Assoc. Fish and Wildl. Agencies 60:152-156. Boxrucker, J. 2005. Oklahoma blue catfish management. Unpublished Report – Oklahoma Department of Wildlife Conservation. Brown, Z. 2007. Final Report on the Current Sampling Techniques and Information Needs of Catfish Researchers and Managers. Final Report for the SDAFS Catfish Management Technical Committee. Buckmeier, D. L. 2007. Catfish gear selectivity evaluation. Final report for Federal Aid Grant F-159-R. Texas Parks and Wildlife. Buckmeier, D. L., E. R. Irwin, R. K. Betsill, and J. A. Prentice. 2002. Validity of otoliths and pectoral spines for estimating ages of channel catfish. North American Journal of Fisheries Management 22:934-942. Daugherty, D. J., and T. M. Sutton. 2005. Diel Movement Patterns and Habitat Use of Flathead Catfish in the Lower St. Joseph River, Michigan. Journal of Freshwater Ecology 20:1-8. Daugherty, D. J., and T. M. Sutton. 2005. Population Abundance and Stock Characteristics of Flathead Catfish in the Lower St. Joseph River, Michigan. NAJFM 25:1191-1201. Daugherty, D. J., and T. M. Sutton. 2005. Seasonal Movement Patterns, Habitat Use, and Home Range of Flathead Catfish in the Lower St. Joseph River, Michigan. NAJFM 25:256-269. Daugherty, D. J., and T. M. Sutton. 2005. Use of a Chase Boat to Increase Electrofishing Efficiency of Flathead Catfish in Lotic Systems. NAJFM 25:1528-1532. Evans, N.T., Shoup, D.E., and Kuklinski, K.E. 2011. Comparison of electrofishing and experimental gill nets for sampling size structure and relative abundance of blue catfish in reservoirs. Pages 599-606 in P.H. Michaletz and V.H. Travnichek, editors. Conservation, ecology, and management of catfish: the second international symposium. American Fisheries Society Symposium 77, Bethesda, Maryland. Flowers, J.H., T.F. Bonvechio, and D.L. Pederson. 2011. Observation of Atlantic sturgeon predation by a flathead catfish. Transactions of the American Fisheries Society 140:250-252. Gatlin, M.R., Shoup, D.E., and Long J.M. 2013. Invasive zebra mussels (Driessena polymorpha) and Asian clams (Corbicula fluminea) survive gut passage of migratory fish species: implications for dispersal. Biological Invasions. 15:1195-1200. Gelwicks, G.T., and Steuck, M.J. 2006. Evaluation of the status, distribution and habitats of flathead catfish in Iowa’s rivers. Project F-160-R, Study 7028, Completion Report, Iowa Department of Natural Resources. Des Moines, IA. Gillette, D.P., J.S. Tiemann, D.R. Edds, and M.L. Wildhaber. 2006. Habitat use by a Midwestern U.S.A. riverine fish assemblage: effects of season, water temperature and river discharge. Journal of Fish Biology 68:1494-1512. Goeckler, J.M., M.C. Quist, J.A. Reinke, and C.S. Guy. 2003. Population characteristics and evidence of natural reproduction of blue catfish in Milford Reservoir, Kansas. Transactions of the Kansas Academy of Science 106:149-154. Holley, M.P. 2006. An evaluation of the catfish fishery in Wilson Reservoir, Alabama. M.S. Thesis, Auburn University, Auburn, AL. Mauck, P. and J. Boxrucker. 2005. Abundance, growth, and mortality of the Lake Texoma Blue Catfish Population: Implications for Management. Proc. Annu. Conf. Southeast. Assoc. Fish and Wildl. Agencies 58:57-65. Reitz, R.A. and V.H. Travnichek. 2004. An analysis of Missouri catfish angler demographics and opinions for fisheries management alternatives. Proceedings of the Southeastern Association of Fish and Wildlife Agencies 58:66-81. Reitz, R.A. and V.H. Travnichek. 2005. Angler opinions regarding handfishing for catfish in Missouri. Proceedings of the Southeastern Association of Fish and Wildlife Agencies 59:273-281. Reitz, R.A. and V.H. Travnichek. 2006. Examining the Relationship between Species Preference and Catfish Angler Demographics, Angling Behavior, and Management Opinions. 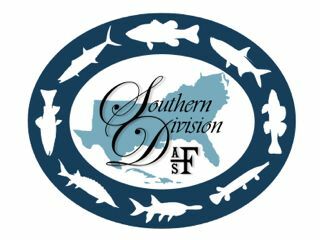 Proceedings of the Southeastern Association of Fish and Wildlife Agencies 60:145-151. Schmitt, J.D., and Shoup, D.E. 2013. Delayed hooking mortality of blue catfish caught on juglines. North American Journal of Fisheries Management. 33:245-252. Shoup, D.E., Callahan, S.P., Wahl, D.H., and Pierce, C.L. 2007. Growth of Bluegill, Largemouth Bass, and Channel Catfish in Relation to Prey Availability and Limnological Variables in Illinois Reservoirs. Journal of Fish Biology 70:21-34. Stewart, D.R., Long, J.M., and Shoup, D.E. 2016. Simulation modeling to explore the effects of length-based harvest regulations for Ictalurus fisheries. North American Journal of Fisheries Management. 36:1190-1204. Sullivan, K.P. and C.M. Gale. 1999. A comparison of channel catfish catch rates, size distributions, and mortalities using three different gears in a Missouri impoundment. North American Journal of Fisheries Management 24:293-300. Tiemann, J.S., D.P. Gillette, M.L. Wildhaber, and D.R. Edds. 2004. Effects of lowhead dams on riffle-dwelling fishes and macroinvertebrates in a Midwestern river. Transactions of the American Fisheries Society 133(3):705-717. Tiemann, J.S., D.P. Gillette, M.L. Wildhaber, and D.R. Edds. 2004. Correlations among densities of stream fishes in the upper Neosho River, with focus on the federally threatened Neosho madtom Noturus placidus. Transactions of the Kansas Academy of Science 107(1/2):17-24. Travnichek, V. H. 2004. Movement of flathead catfish in the Missouri River: examining opportunities for managing river segments for different fishery goals. Fisheries Management and Ecology 11:89-96. Vokoun, J.C. and C. F. Rabeni. 2006. Summer diel activity and movement paths of flathead catfish (Pylodictis olivaris) in two Missouri streams. The American Midland Naturalist 155:113-122. Vokoun, J.C. and C. F. Rabeni. 2005. Variation in an annual movement cycle of flathead catfish within and between two Missouri watersheds. North American Journal of Fisheries Management 25:563-572. Vokoun, J.C. and C. F. Rabeni. 2005. Home range and space use patterns of flathead catfish during the summer-fall period in two Missouri streams. Transactions of the American Fisheries Society 134:509-517. *We would like to make catfish literature available on this website. Please contact us if you would like to make your paper (in PDF format) available for catfish researchers and enthusiasts.